Hard cider is an alcoholic beverage made from apples that is enjoyed around the world, although the primary markets are in Europe and the United States. In 2013, total sales for the industry reached $595 million, with the sales volume of cider rising by 11.8% in the U.S. market. Total sales in the United States in 2014 were $378 million, while in 2015 they were $536 million, accounting for about 40% of the total industry. The total value of the global cider market, however, is estimated to be more than $16 billion. 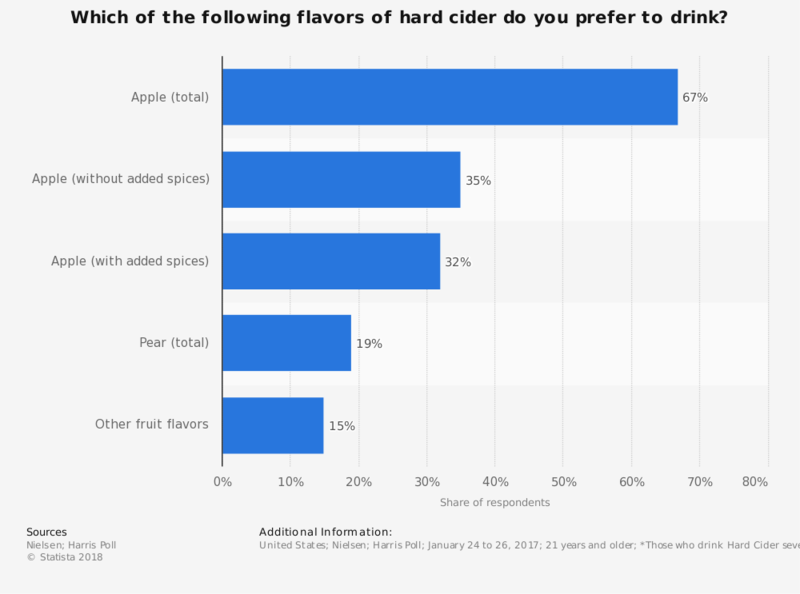 From 2015 data, Angry Orchard was the most popular brand of hard cider on U.S. shelves, producing over $250 million in sales. That equates to about 7.3 million cases of hard cider being sold. Owned by the Boston Beer Company, more cases of Angry Orchard were sold in 2015 than the next 19 most popular brands in the United States that year. 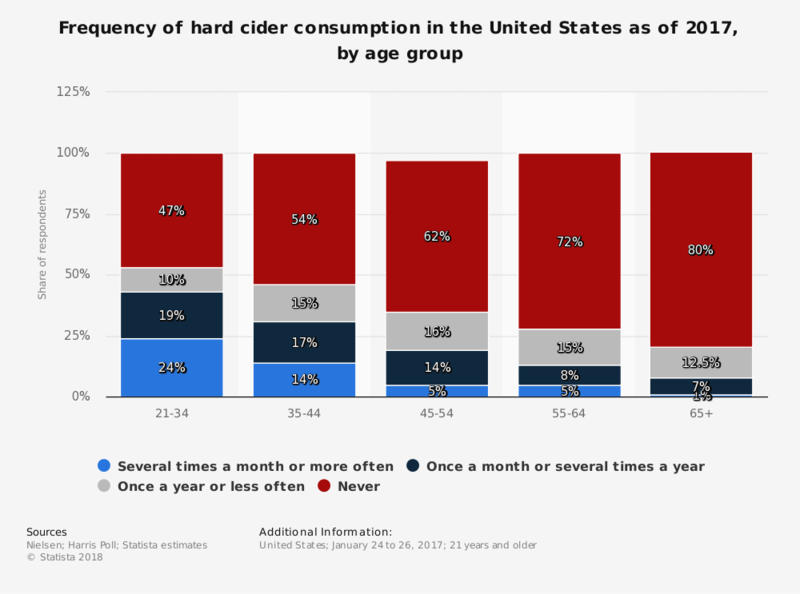 After more than a decade of slow, but steady increases in sales, the past 5 years have been a rollercoaster of growth and losses for the hard cider industry. What is unique about this industry is that the preference for small producers restricts growth of the large producers, then the preferences flip and the preference for large producers takes away growth for the regional and local cideries. This trend should begin to stabilize in 2019 as apple production rates continue to rise and local orchards begin producing their own on-premise supply to create cider. Although consumers will still bounce from one brand to another, new products within the industry, such as the Rose cider introduced by Angry Orchard, will drive consumers back to this product. The long-term growth trends have been encouraging and should continue to stay that way. 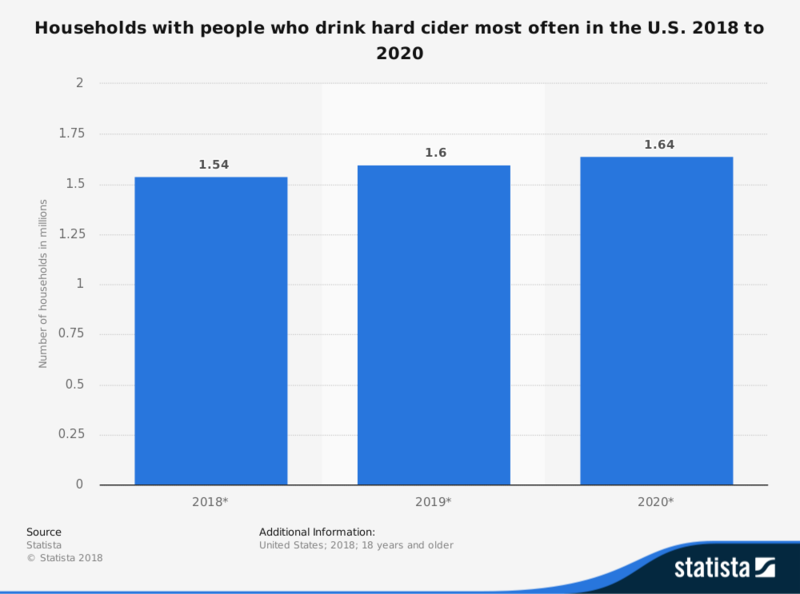 Although hard cider will still not exceed a 1% market share of the alcoholic beverage industry by 2024 (or even 2029), look for the industry to exceed a 0.6% market share for the first time. Revenues should also rebound, with the U.S. industry breaking through the $600 million barrier within the next 5 years.